– Everything across the map has been designed as fixed items not placeable or being able to be sold, there is a small piece of land laid bare for horses and or dogs. – You have 24 good sized fields for arable use and grass if you so wish to plant, I painstakingly created field def’s for all fields so the land that’s not in use will show with other crops. 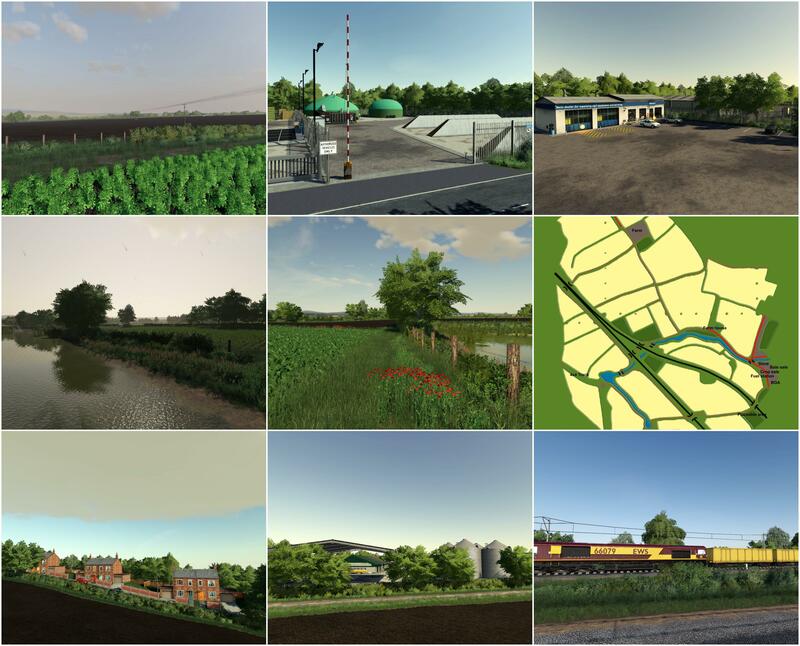 – You have 9 farm land locations across the map of which 1 is already pre-owned again I have done this nicely and used layer 63 (non purchasable land) on areas that are of no use. – Knuston farm, its a little different this time, larger and very modern but well laid out and good functionality from tip sheds, triggers and storage sheds. – Off from the main road and signposted is a lovely 4×4 track for when you get bored and want to have a little fun, the track is off good size with some steep slopes and long rolling drops as well as being tight and twisty. – In the village of Wymington you have all the necessary selling points you may need to operate the map. I have added realistic branded selling points, Norfolk straw products to sell your bales, LBS horticultural sales to sell all farm produce grown off the land. – A neat and tidy BGA set in the same industrial estate along with a Shell fuel station across the road with fixed working jet wash, cash machine and a fuel trigger. – A large area of the map is taken up by the railway line which in real life is currently going under electrification, this time around i have added the electric pylons in and edited a train in that’s electric as well as the diesel. We have a class 222 in East Midlands trains, The new class 800 Hitachi train and the freight train from the previous version of Knuston. 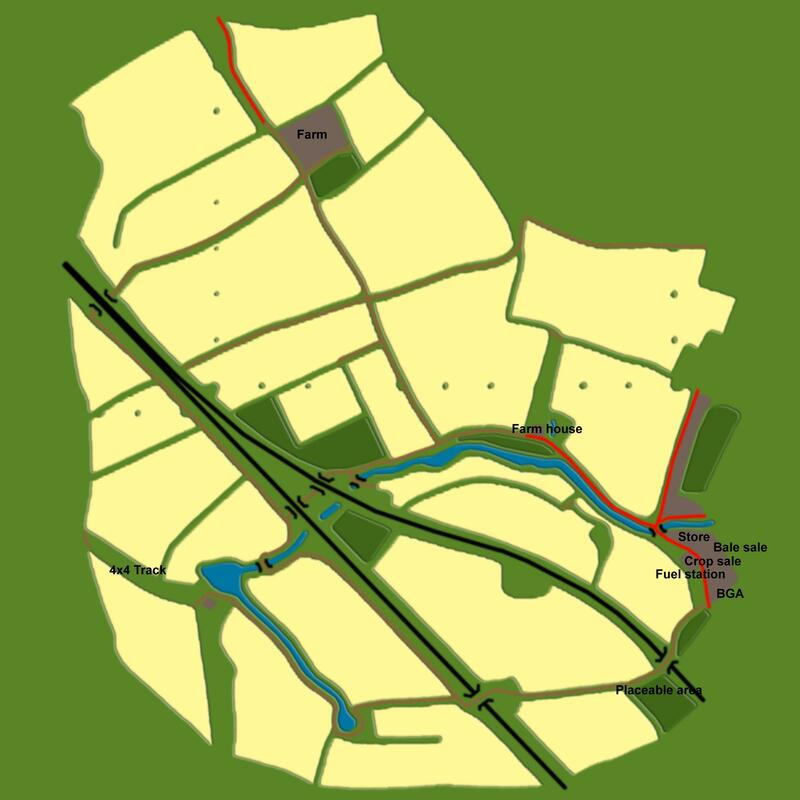 – There are a few static areas to the village, these include a church, a pub, a water tower and various houses. Ultimately enjoy the map, P.S. the maps great for multiplayer use.